In orbit since 18 December 2004, the Parasol microsatellite acquired its first pictures on 7 January 2005. Parasol is set to help scientists gain a better understanding of the physical and micro-physical properties of clouds and aerosols. These first images also confirmed that the satellite, its payload and associated ground facilities are all working well. What role do aerosols play in climate mechanisms? What effects will global warming have on cloud cover? How do clouds and aerosols interact? These are some of the questions the Parasol mission, decided in 1999, is attempting to answer. Its objective is to characterize the radiative properties of clouds and aerosols. Parasol is one of a French-US constellation of six satellites dubbed the A-Train, dedicated to studying Earth’s climate. Once it has reached its final 705-km orbit early in March, Parasol will be ready to begin its science mission as part of this unique space observatory. 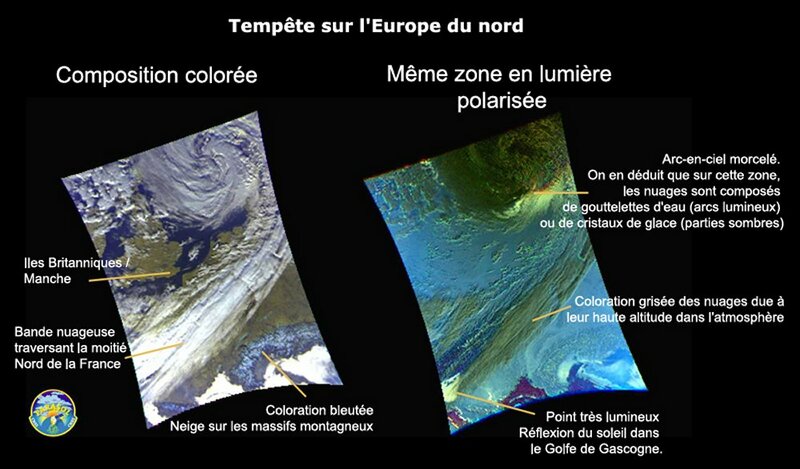 Parasol was developed by CNES, in association with the French national scientific research centre CNRS. 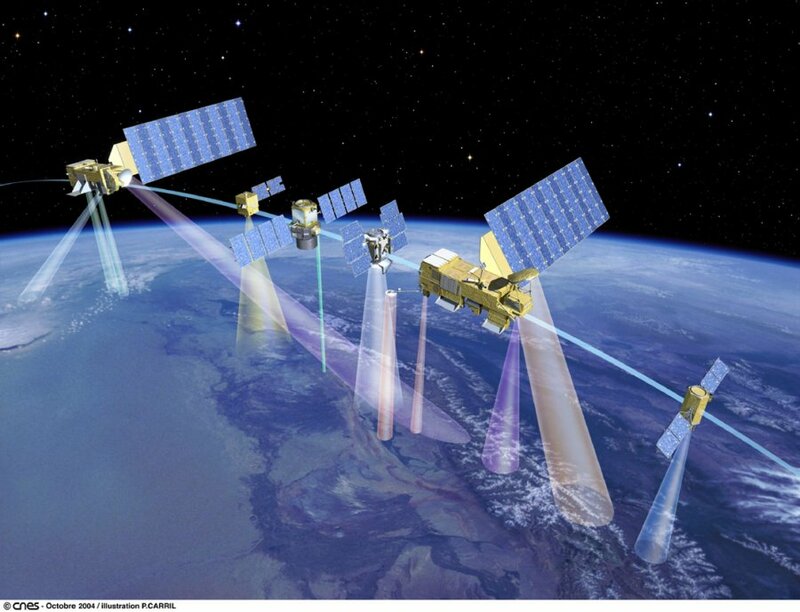 CNES also designed the satellite command-control infrastructure on the ground. Parasol’s wide-field camera acquires a sequence of images of Earth every 20 seconds, using a series of spectral and polarizing filters. In the image pairs below, the left view is a colour composite, while the right view shows the same scene in polarized light. 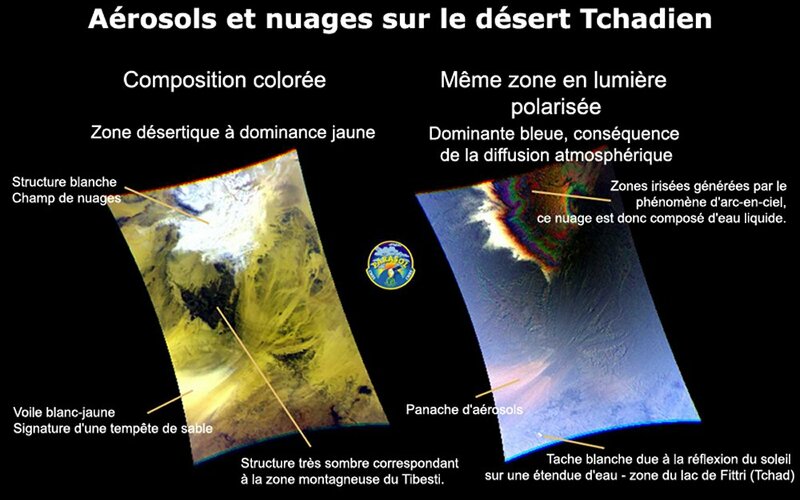 These images were acquired over the desert in Chad on 7 January 2005. The pair of images above was acquired on 8 January just as a storm was sweeping across northern Europe.